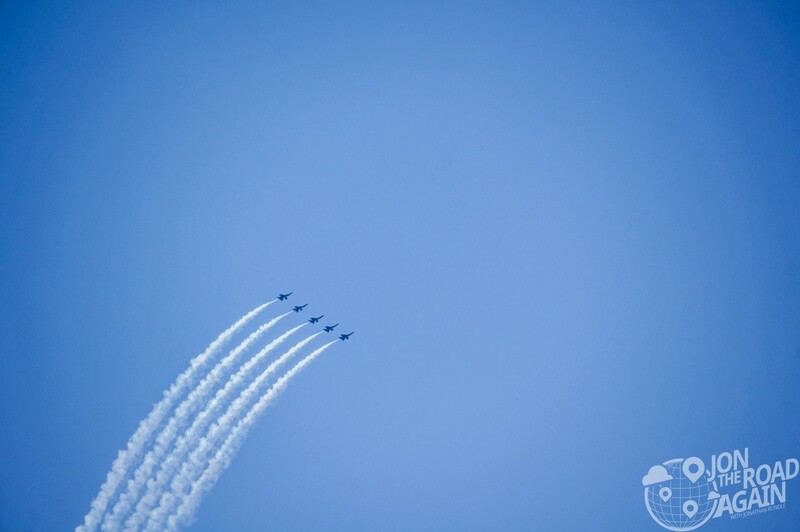 The Blue Freaking Angels came to town for Seafair and it’s eyes to the sky for everyone nearby. Usually, Lake Washington is the main place to see the Seafair Air Show, but today we watch the Blue Angels from Boeing Field. 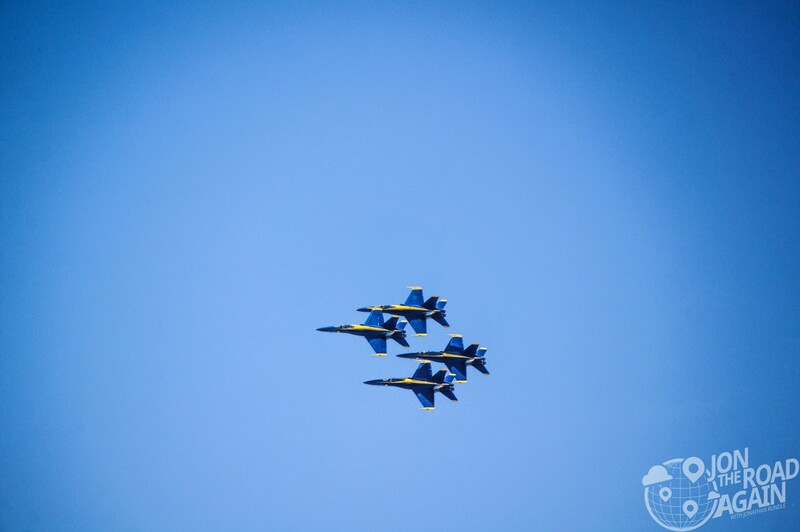 Seafair is much more than the Blue Angels, but there’s no doubt who’s the star attraction when they’re in town. The air show has acrobats, vintage planes and other jet teams performing for the delight of fans. 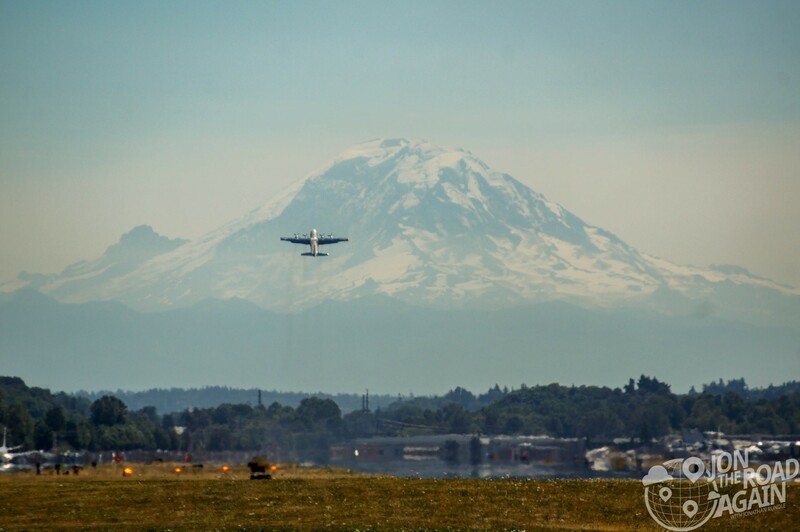 Boeing Field (aka King County International Airport) provided a great up-close-and-personal view of the jets coming and going. 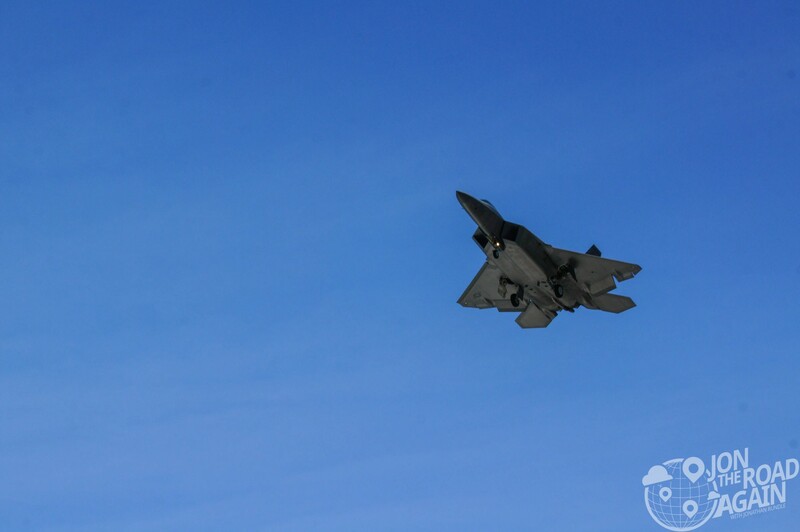 F-22 Raptor comes in for a landing. 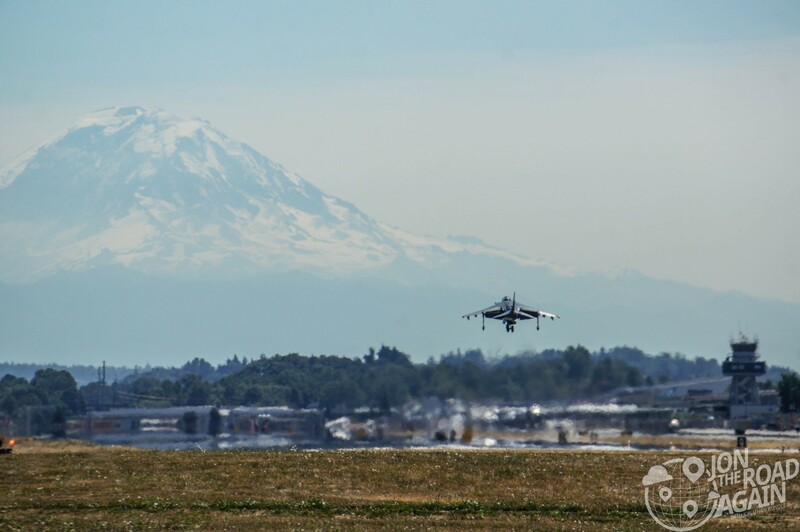 The Harrier jet lands at Boeing Field. With it’s engines facing downward for landing, it was incredibly loud as it floated overhead. 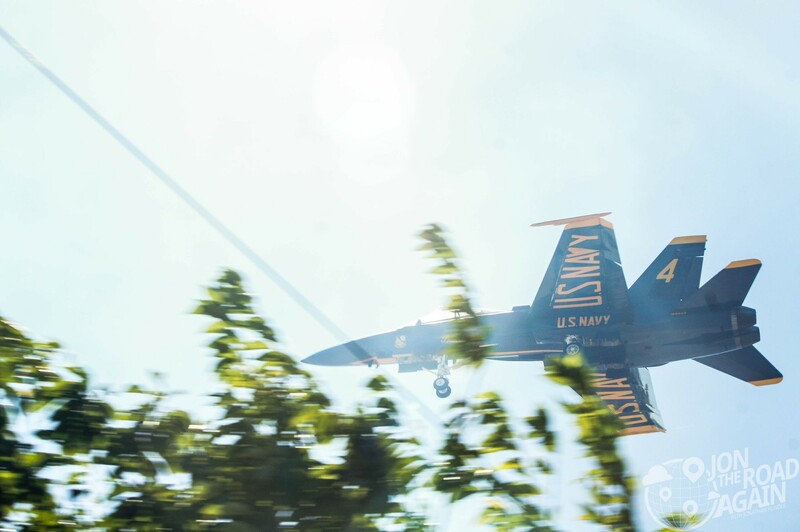 We have about 4 days of the Blue Angels from Boeing Field because of practice sessions in addition to their two performance days. The Blue Angels performance begins with “Fat Albert” their C-130 supply cargo plane doing a loop around the lake and downtown Seattle. The C-130 used to use JATO (jet-assisted-take-off) to take off at a more vertical angle, but the rockets needed for JATO have dwindled in supply. Fat Albert is also where Capt. Katie Huggins, the first female Blue Angel spends her flight time. Their F-18 Hornets create smoke trails by pumping biodegradable, paraffin-based oil directly into the exhaust nozzles of the aircraft, where the oil is vaporized into smoke. The smoke provides a traceable path for spectators to follow, so they can see the flight profile that has been flown. It also enhances safety of flight by providing a valuable means by which the solo pilots can see each other during opposing maneuvers and conditions of lowered visibility or haze. Coming in to land through the clearing smoke trail. In this shot, you can see how close they were from our vantage point at the north end of Boeing Field. Ear plugs are a good idea when watching the Blue Angels from Boeing Field. 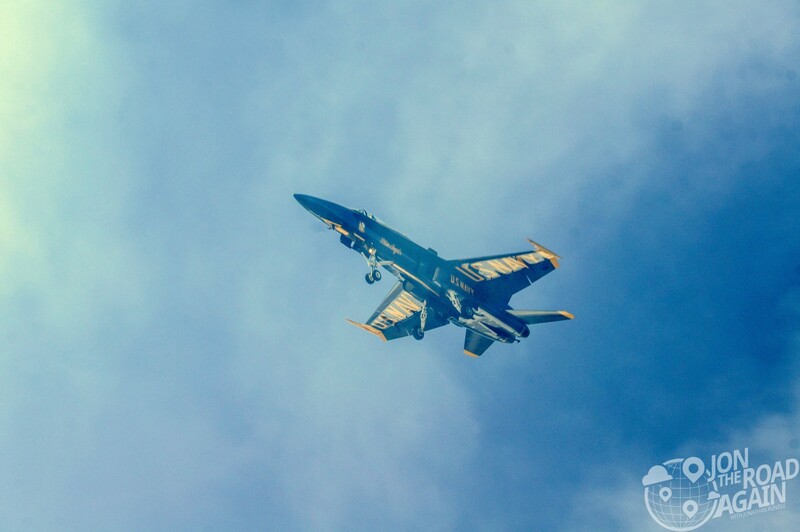 When those iconic blue and gold jets take to the sky, all of Seattle watches. 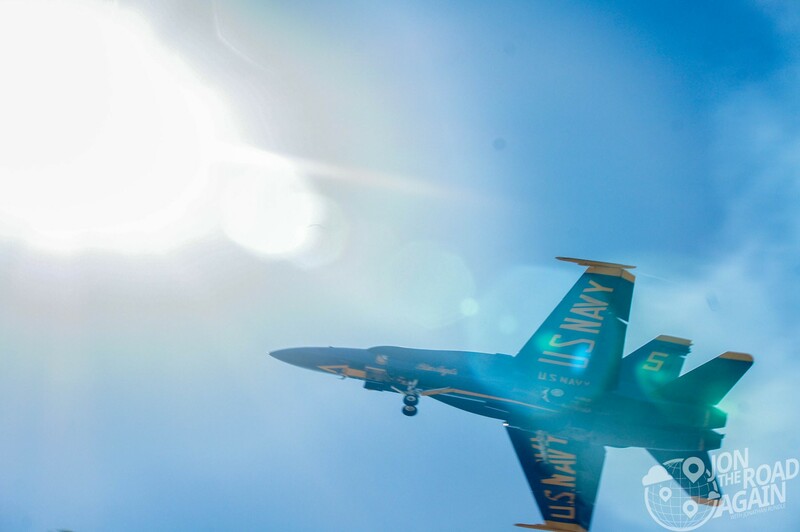 To see the Blue Angels from Boeing Field, simply be aware of the practice / air show times and find a spot near the field. We watched from Ruby Chow Park at the north end.